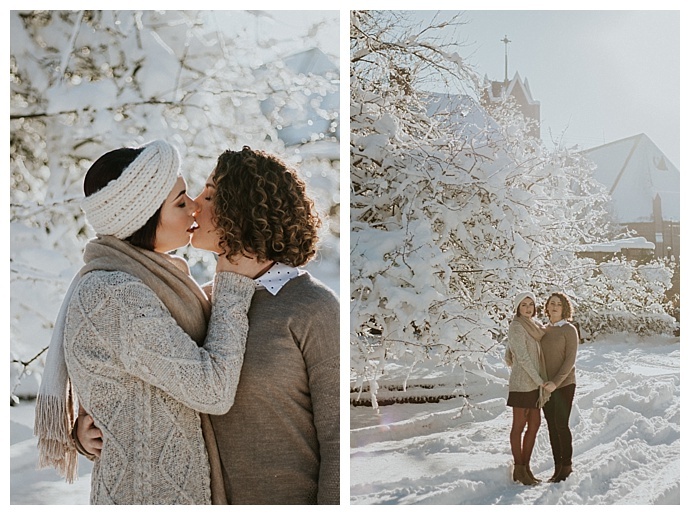 When it’s cold outside, there’s nothing better than cozying up to the one you love. 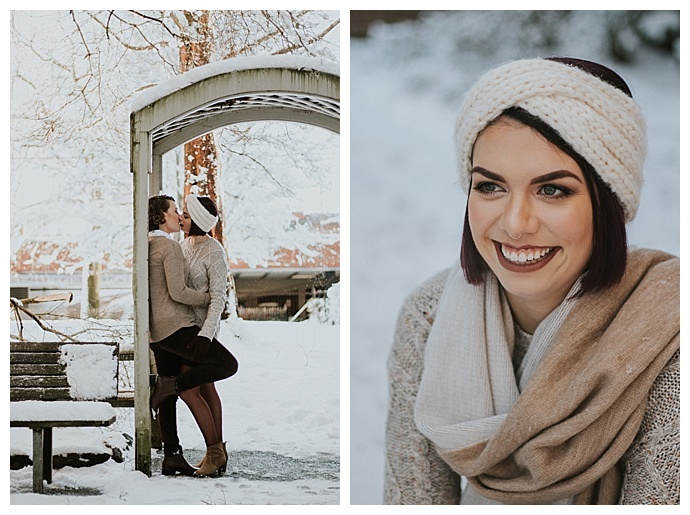 That’s why we love this engagement shoot from a winter day in Vancouver, Washington. 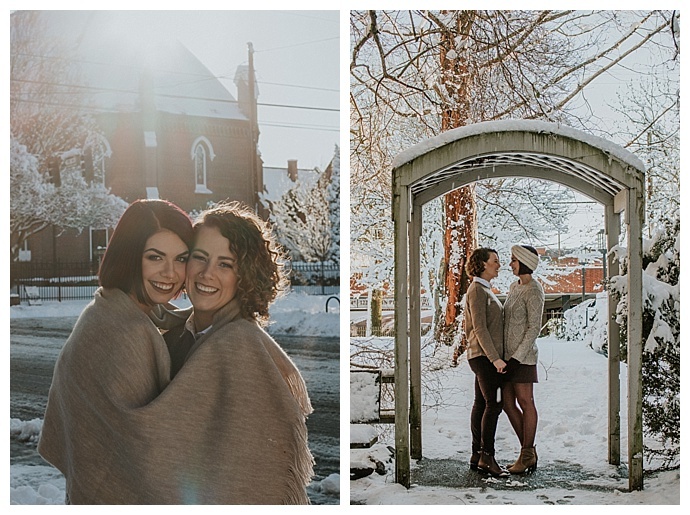 Branch and Twig Photography ventured out into the cold for Brooke and Elizabeth’s incredibly romantic, snow-filled engagement session where their charismatic connection warms us right up. 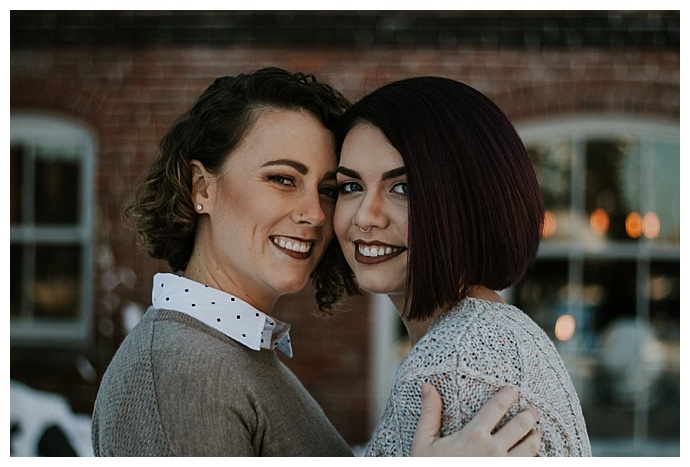 These two moved halfway across the country for each other and share a passion for politics and community justice. 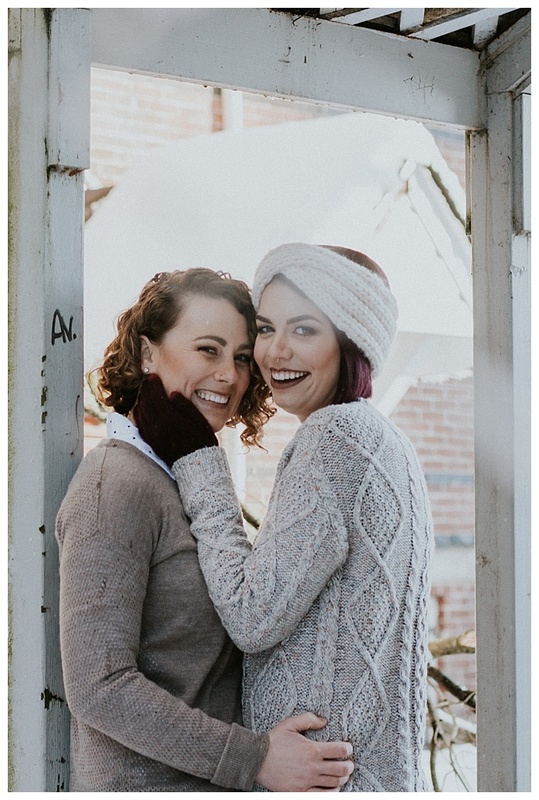 And just recently, when Brooke and Elizabeth were participating in protests at Portland International Airport in response to the Muslim travel ban, Brooke was reminded of why she wants to spend the rest of her life with Elizabeth. Sometimes you find the best things when you aren’t looking for them. That’s what happened when Brooke and Elizabeth were introduced by a mutual friend. “Both of us were making significant life plans and weren’t ready to start a new relationship,” Brooke says. “But at the insistence of our mutual friend Leah, we agreed to go on a friendly hike. A couple of hours later, we were seriously lost in the depths of backwoods Missouri forest. There’s truly nothing like looking a first date in the eye and saying, ‘We’ve got to make this work.’” Luckily, they found their way back to Elizabeth’s Jeep, and with the top down and sun on their faces, they danced and sang along to alt-J’s “Lovely Day.” “After burgers and beer in the local gayborhood, our hearts were both in trouble,” Brooke says. 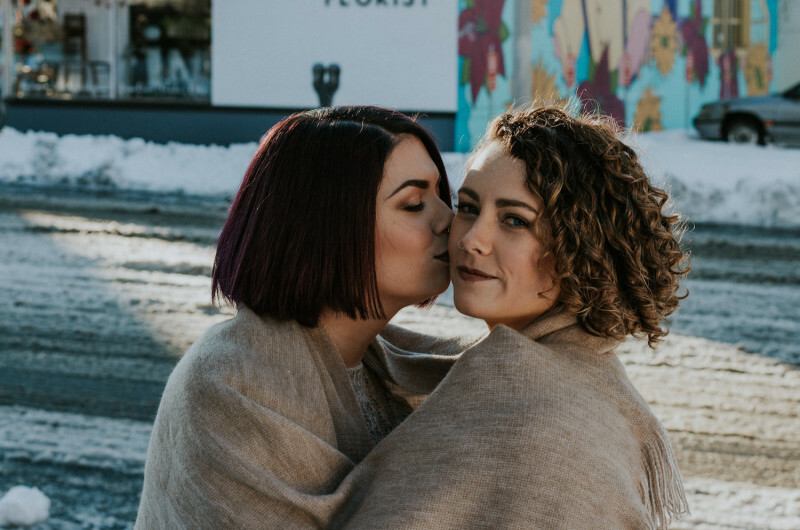 As the end of summer neared and Elizabeth was preparing for her move to Portland, Brooke realized she didn’t want to live without Elizabeth. 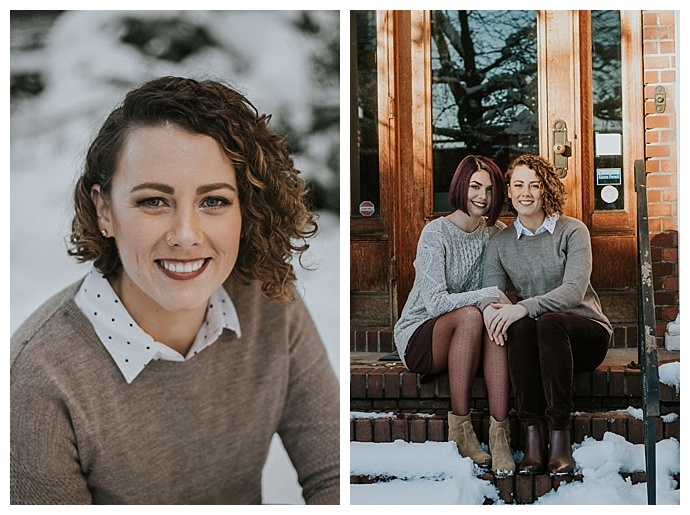 Unable to find a job in Portland, they settled for the same coast, and Elizabeth moved to Portland while Brooke moved to Seattle, and instead of being 2,000 miles away, they were only separated by one state. Long-distance was their fate, but it wouldn’t keep them apart for long. 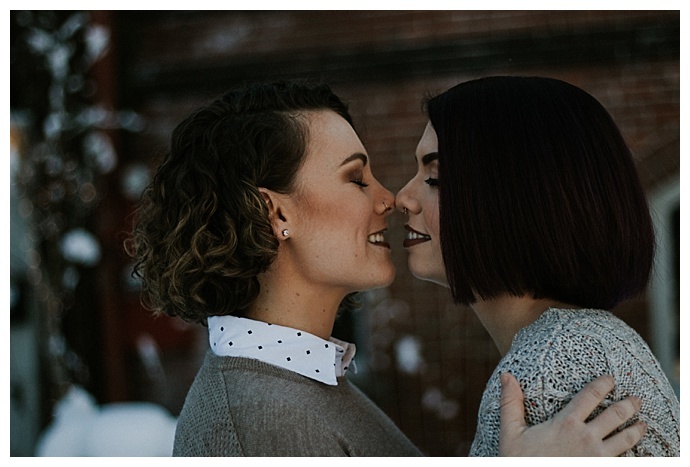 Finally back in their corner room lit up by the bright Times Square lights below, Brooke asked Elizabeth to marry her. 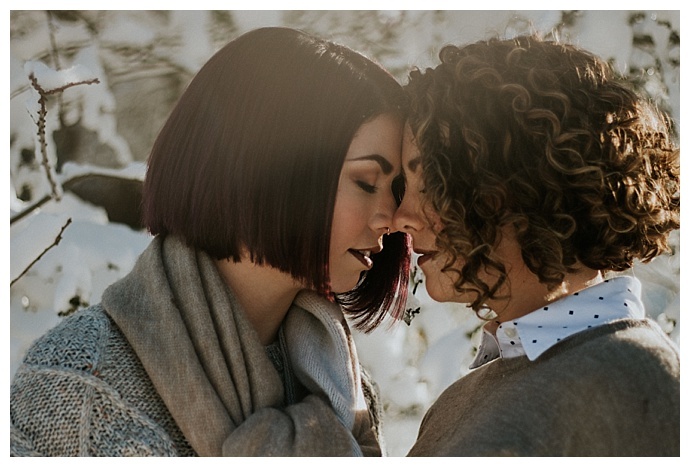 “All I remember from that moment is that I was crying, confessing my undying love for her and asking her to marry me,” Brooke says. 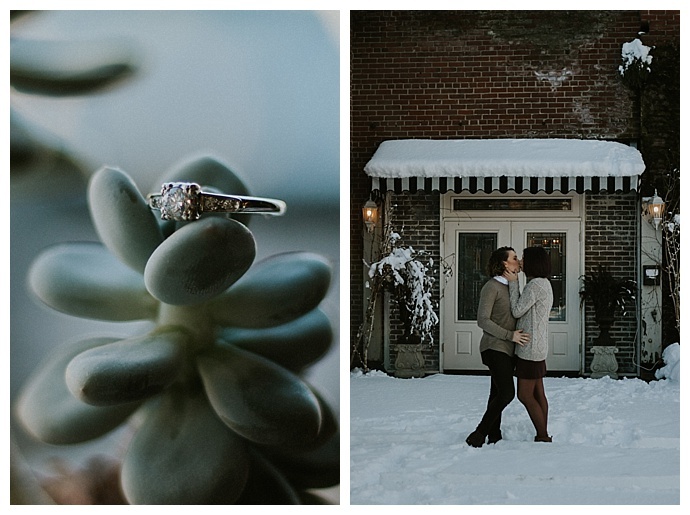 “She said yes and pulled me back up to my feet for the sweetest kiss I’ve ever received. 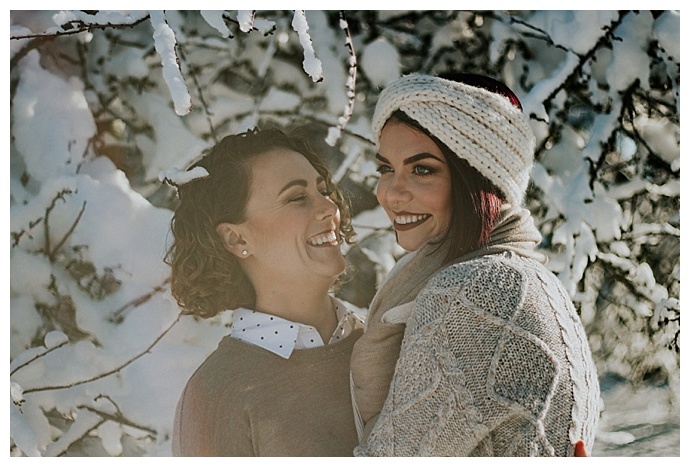 It was magic.” The newly engaged couple enjoyed champagne and FaceTimed Elizabeth’s mom. Even though it was nearly 2 a.m., her mom woke up her sisters and they all got to enjoy that special moment together.